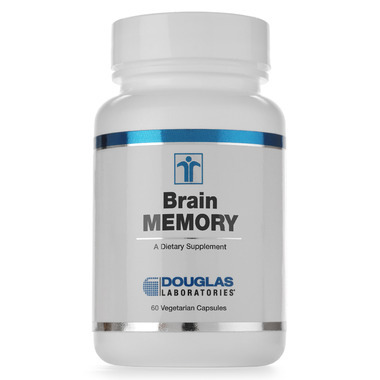 Brain Memory, by Douglas Laboratories, is a combination of nutrients specially designed to support production of acetylcholine, which plays an important role in brain processes associated with sharpness and memory. Indication: Brain Memory may be a useful dietary supplement for individuals wishing to support neurological functioning and acetylcholine production. 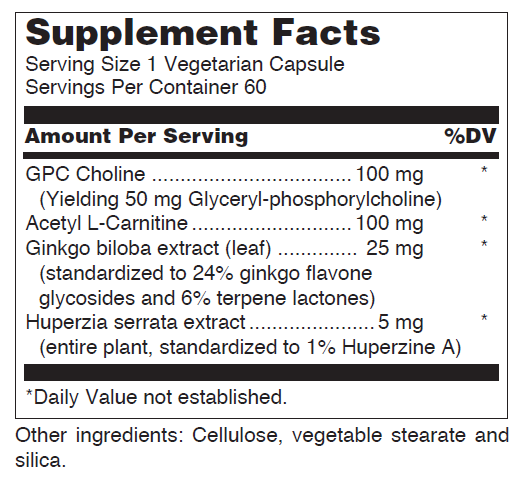 Suggested Usage: As a dietary supplement, adults take 1 capsule before breakfast and 1 capsule before dinner, or as directed by your healthcare professional.